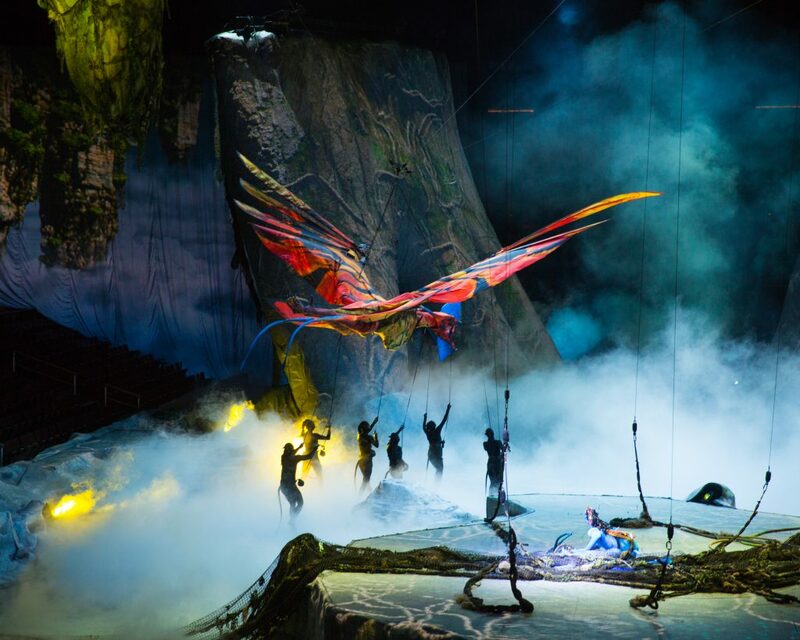 The lush world of Avatar brought to life in Toruk: The First Flight. Photo by Errisson Lawrence and © 2015 Cirque du Soleil. If you loved James Cameron’s 2009 film Avatar, good news! Filming for Avatar 2 has been scheduled. Bad news: It’s not expected to hit movie theatres until 2018. 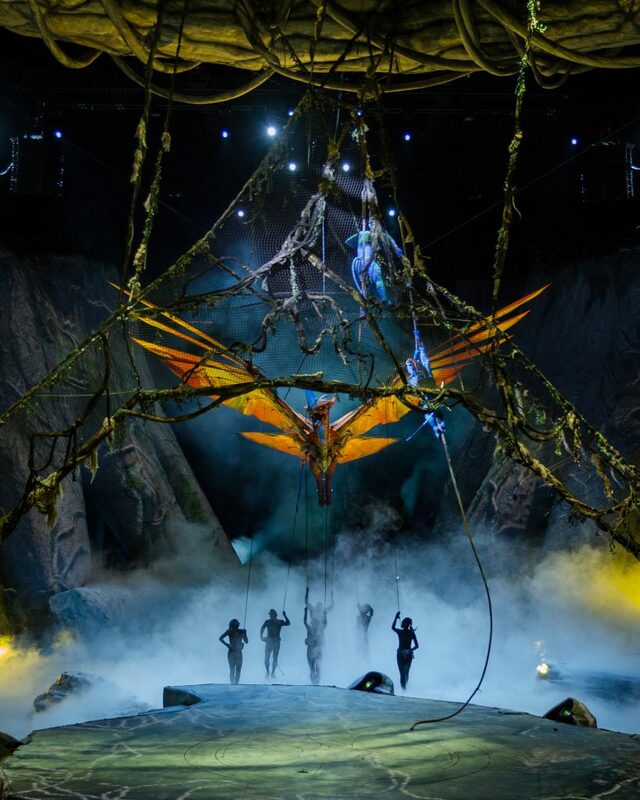 If you’re looking for a Na’vi fix, however, you can get one much earlier than that, in the form of Cirque du Soleil’s Toruk: The First Flight, which plays at Target Center from September 28 through October 2. 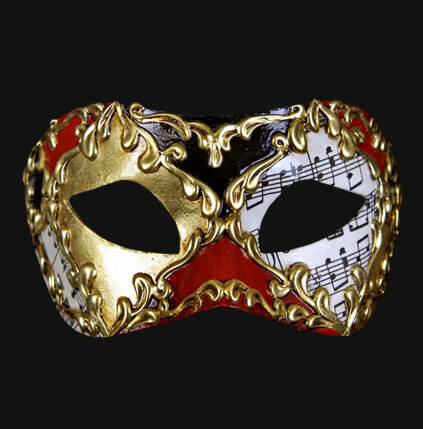 All pictures feature costumes by Kym Barrett. 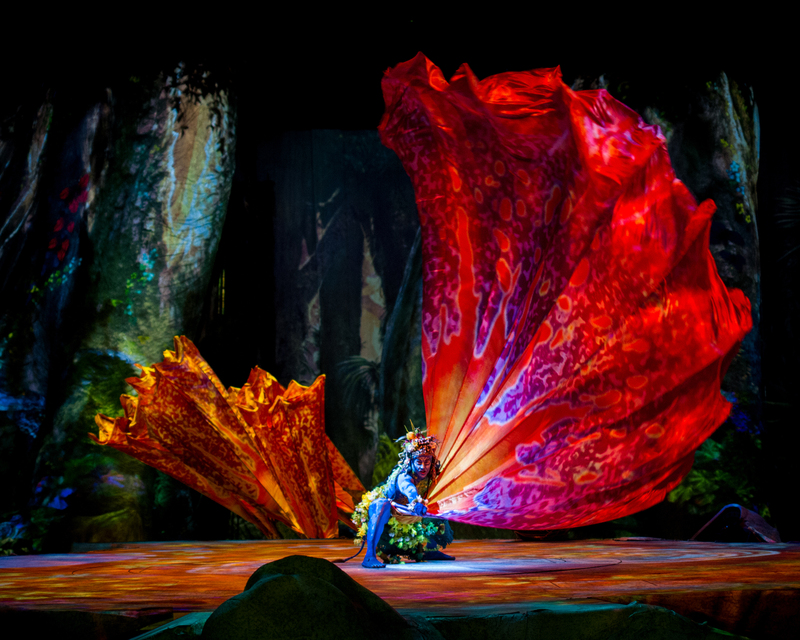 Photos by Errisson Lawrence and © 2015 Cirque du Soleil. 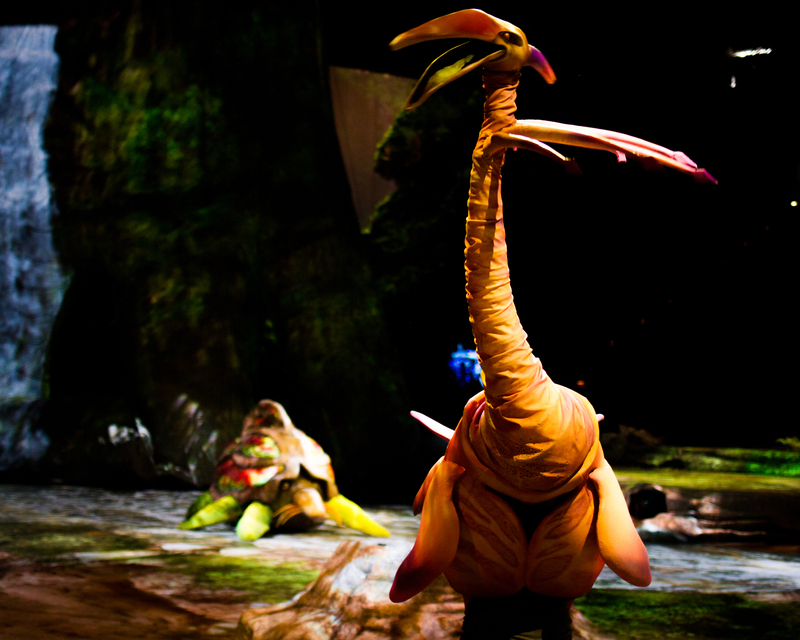 A dinosaur-like creature wanders the jungle. A brightly colored creature takes to the air. 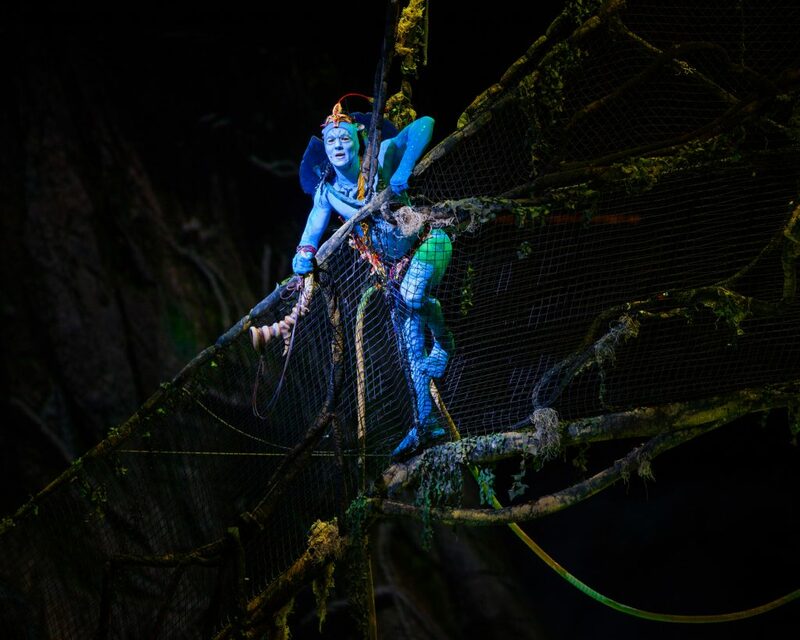 A Na’vi perched on a tree branch with a net. 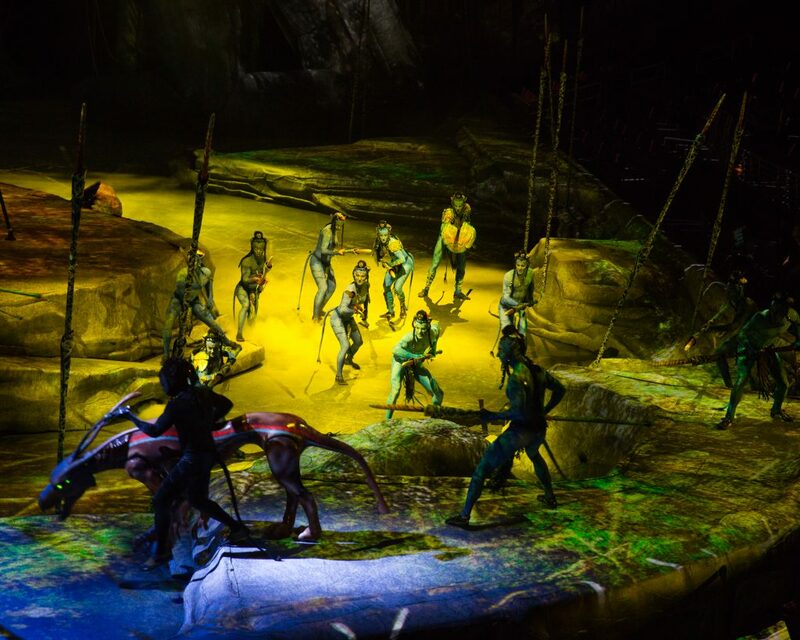 A group of Na’vi with spears at the ready. Na’vi take to the air.